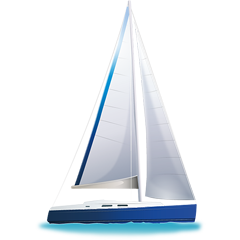 Sailing boat Sun Odyssey 42 DS called Calameka was produced in 2011. We offer this sailboat from marina Sukosan in region very close to Zadar. Calameka is licensed for 6 persons. Layout of the vessel is 6 (4+2). Sun Odyssey 42 DS Calameka has 2 cabins. For guests disposal there are 2 heads. You can fill the tank for fuel with 200.00 l l. and in water container it goes even 450.00 l (450x 3) l. With motor 55 hp Calameka can navigate really fast. Calameka is 12.60 meters long and 4.13 meters wide. Draft is 2.18 meters. Use this site to find other boats over here: Yacht charter Sukosan. Yacht's equipment involves : Navtex, Gps plotter, Radar, Solar panels, Teak deck. . Nonrefundable caution accounts for 1500.00 EUR. Choose our offer and enjoy your vacation on the deck of Calameka. This Sun Odyssey 42 DS from Sukosan from Croatia Use the search engine for search for by opening this link here: Yacht charter Croatia.